Many players prefer the warm, rich, textured tone of phosphor bronze strings. 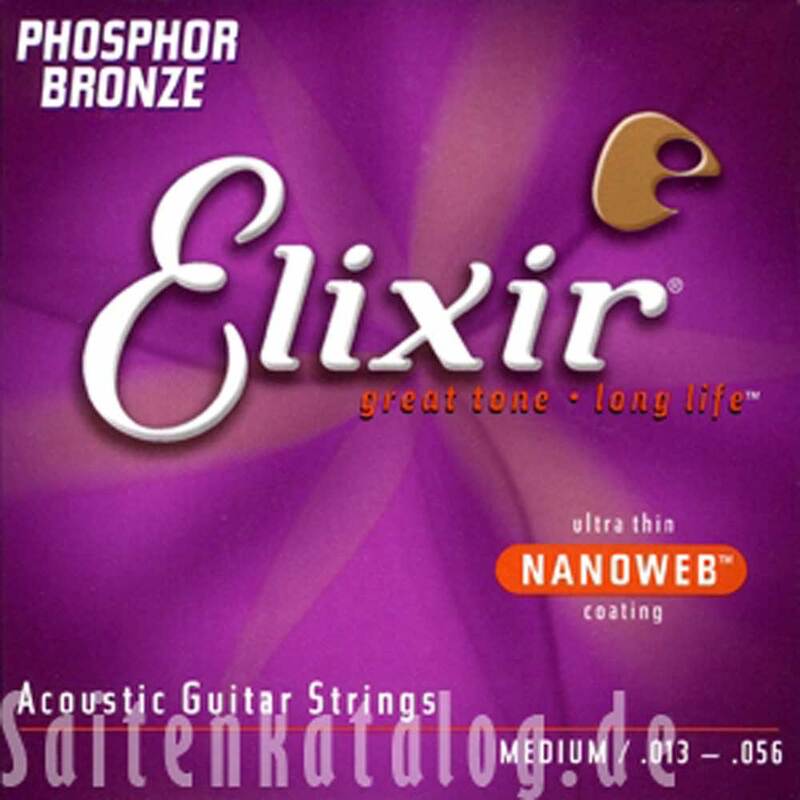 These Elixir Strings with NANOWEB coating capture the sweet spot of that unique phosphor bronze tone and extend it 3-5x longer than conventional strings. Elixir strings give your acoustic guitar brilliant, detailed tone that lasts much longer than ordinary strings.